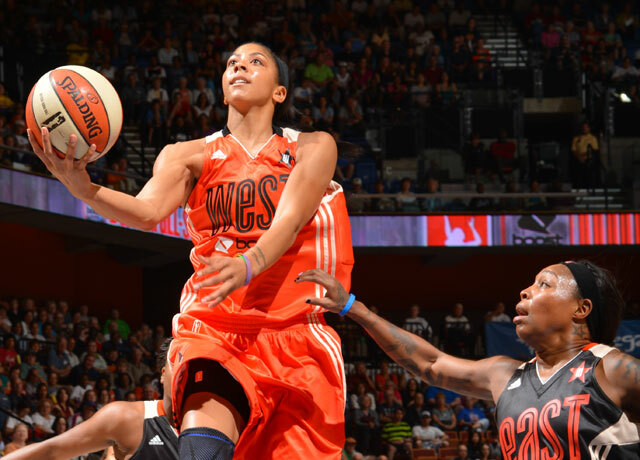 Candace Parker, competing in her first All-Star game, was awarded the MVP, after a record-breaking 23-point performance in the West's victory over the East. 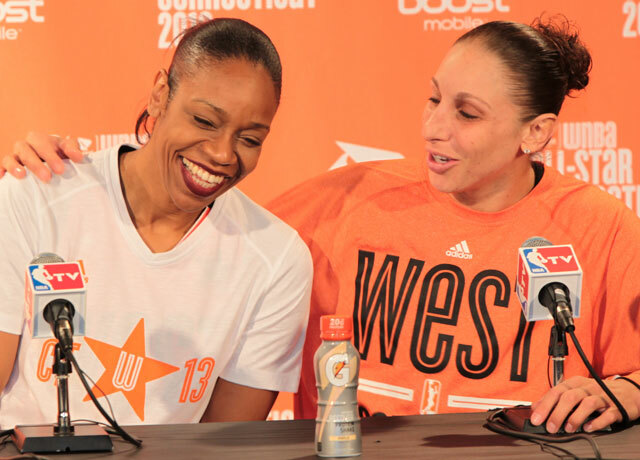 The West edged the East 102-98 in the Boost Mobile WNBA All-Star Game 2013 on Saturday. See the All-Star Blog for all the latest videos and photos. 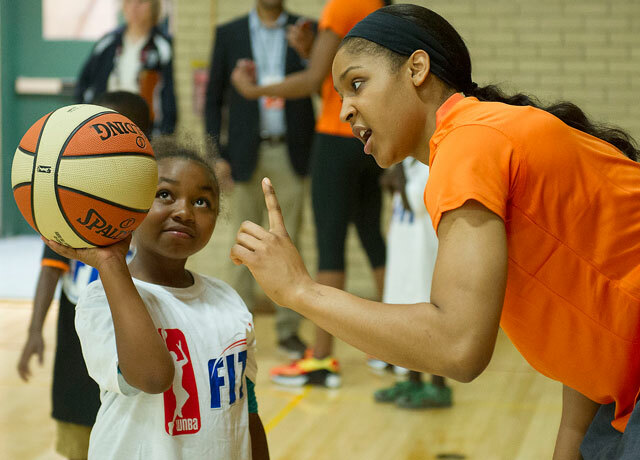 As the 2013 WNBA All-Stars made their moves in Connecticut, photographers were on the scene. Get your all-access pass to the festivities at the 2013 WNBA All-Star Game from Mohegan Sun in Connecticut. 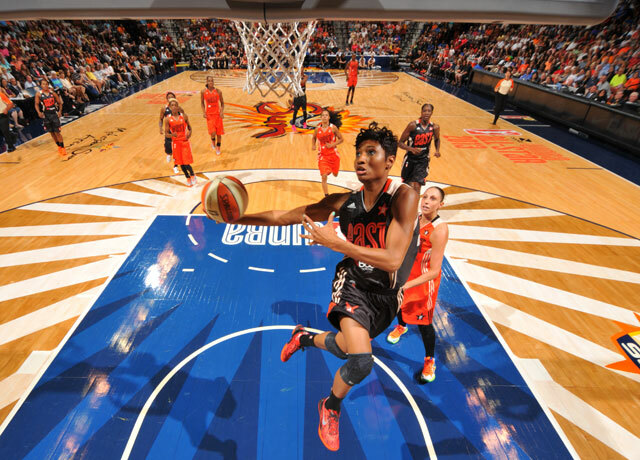 Check out the pre-game dunk fest from the 2013 WNBA All-Star Game. West All-Star Maya Moore says she just had to come up with something special for the fans at the 2013 WNBA All-Star Game. Candace Parker is presented with the 2013 WNBA All-Star Most Valuable Player trophy. Atlanta's Angel McCoughtry gives the fans a little something extra after a powerful rebound and putback during the 2013 All-Star Game.